We will be happy to welcome you in 2020!! The second Dutch Trampoline Open will be organized 14th and 15th March of 2020. We will be hosting three competition events. 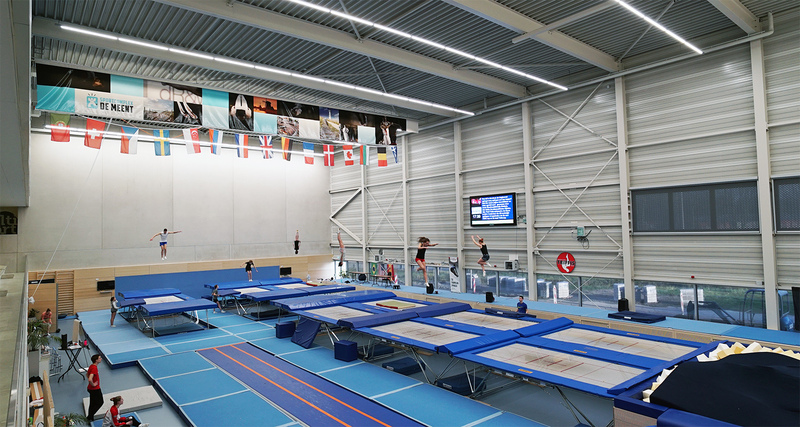 Do you want the perfect preparation for the Dutch Trampoline Open? Our purpose built trampoline gym will be available for a training camp in the week leading up to the competition as well as the week after. In the individual final, David Vega (ESP) had set the leading score. Only one man could beat him to win the first Dutch Trampoline Open. Allan Morante (FRA) delivers a beautiful routine and this video showcases the sportsmanship between some of Europe’s top trampolinists. Dutch Trampoline Open Invitation 4K from Tafelzout Videoproducties on Vimeo. How many unique visitors have visited this website? How many page views have there been?